MomBrary: Do You Have Defiant Children? 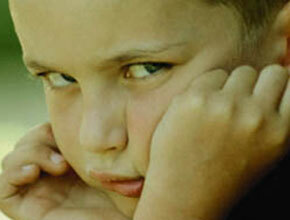 Do You Have Defiant Children? There are some teens who aren't defiant, or hardly ever are. If you've seen another family with model teenagers and are wondering why your life can't be as peaceful and placid as the parents of those kids, take heart. What you're going through is not unusual, and when it gets bad, there are things you can do and places you can go for help. You set up rules and agree on them with your teen — rules that seem totally fair to everyone, such as an 11:00 curfew on Friday nights. And then, later that week, your son comes home at 11:10 and as you're about to dole out the consequences, he says it was the fault of his friend, who was driving and couldn't find his keys. Or, you tell your daughter she is not allowed to go to so-and-so's house, and she calls you to tell you that now that she's in the car with her friends, they have decided they are going to go to so-and-so's house, and she is stuck with them and they're on their way, so she just wanted to let you know. When you hand your teen the rules, make it clear that you will enforce them whether his friends cooperate or not. Your teen must learn, by practicing, how to speak up and get out of a social situation because he has another obligation. This will be a helpful skill later. Rules are rules. Teens have a tendency to look for loopholes and to try to get off scotfree by blaming their friends or outside forces when they disobey. Teens will test the limits not because they are dead-set on coming home at 11:10 or dying to go to so-and-so's house, but because they are determined to see if you will stick to the limits. So do. If you ever allow an exception, be sure of two things: it is a special circumstance far beyond the teen's control and which is unlikely to recur (i.e., a car accident), and your teen will test the limits to find out if you will make exceptions for other rules. You only have to flip through a magazine or visit a stock photography website to see that teens are usually portrayed as sullen thugs who sit next to spray-painted brick walls in baggy or goth clothes with enough facial piercings to pick up radio frequencies. Obviously, most people don't think teens are as cute as toddlers. Do you think that's fair? Turn the tables: do you like teen music that always portrays grown-ups as pushy jerks who hate fun and squelch self-expression? A change of perspective might help you get along better with your teen. Step back from what the media says about teens in general and think about your teen: what is wonderful, lovable, and amazing about her? It might help if you saw her teen years as another magical phase in growing up, one that you get to witness and cherish.